Hi Friends! Welcome back to the blog! If you’re feeling under the weather today’s video and blog post is for you! I’m sharing the 10 Best Foods to Eat to Boost Your Immune Health. These foods support immune function and nourish the body with vitamins, minerals and antioxidants. * I also recommend consuming these foods on a regular basis to support immune health during the winter! 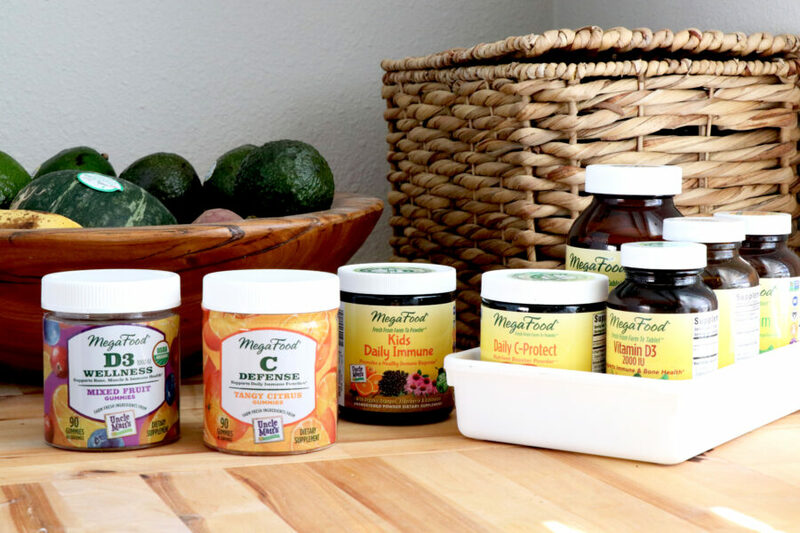 As an ambassador for MegaFood® I’ll also be sharing a variety of my favorite immune supporting MegaFood supplements that are made with real foods from trusted farm partners. 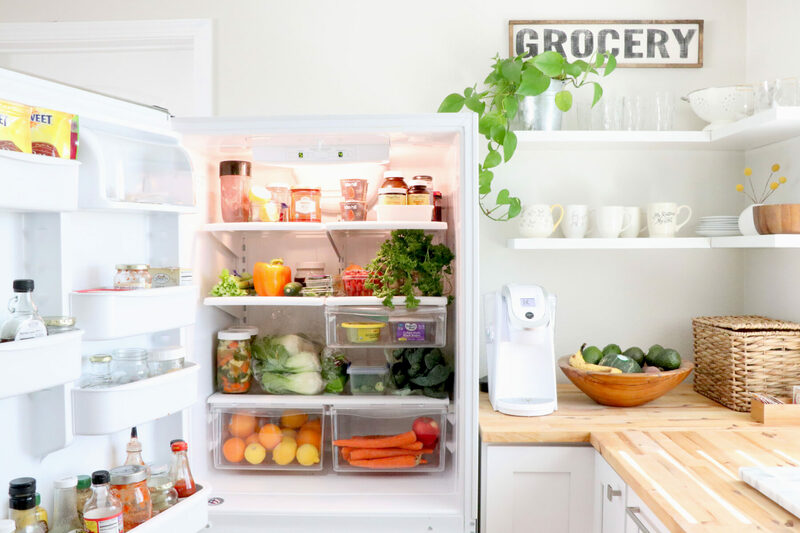 You can also follow me on Instagram @HealthyGroceryGirl for healthy eating and wellness inspiration, every day! If you’re new to our channel or maybe you’ve been watching for a while don’t forget to subscribe by clicking the red subscribe button! Garlic is an immune health hero! * I love to sauté garlic and onion before adding to homemade soup recipes. Ginger helps support the immune system. * Ginger is also great if you’re feeling nauseous and to soothe an upset stomach. I love adding fresh ginger to hot water with lemon. I also love adding fresh ginger to my morning smoothies. Turmeric contains a compound known as curcumin, which as anti-inflammatory properties that can support immunity. * Consume turmeric with black pepper. Black pepper can help the body absorb curcumin. Bananas contains zinc, vitamin A and potassium. Go for ripe bananas with brown spots, which are gentle on digestion. Citrus fruits are packed with antioxidant vitamin C! Oranges are a great snack or add fresh lemon juice to smoothies or hot tea. I also love making fresh homemade juice with citrus fruits. People often think of citrus fruits when they think vitamin C. However, broccoli provides 81 milligrams in just one cup, which is more than the Recommended Daily Intake! I love adding broccoli to homemade soups. You can also toss a few pieces of broccoli in a smoothie! Sweet potatoes are rich in beta-carotene, a carotenoid that converts into vitamin A, which supports immune health. Pumpkin seeds contain antioxidants, magnesium, fiber, healthy fat as well as zinc. Zinc supports a strong immune system, wound healing and cell growth. Green Tea contains flavonoids, which may support immune health.*. Soup can help hydrate the body as well as nourish with immune supporting ingredients. * I love making soup and have so many recipes on the blog! Here are a few of my favorite, which I’ll link below! Turmeric Noodle Soup, Coconut Turmeric Lentil Soup and Kale & White Bean Soup! As a Registered Dietitian Nutritionist, I recommend consuming nutrition from real, whole foods first before supplementing. However, the truth is there are gaps in our diet because no one eats perfect. Quality supplements such as vitamins can be a great way to fill those dietary gaps and meet your nutritional needs. MegaFood Vitamin D3: Vitamin D3 plays many roles in physical and mental health, and promotes healthy immune function.*. 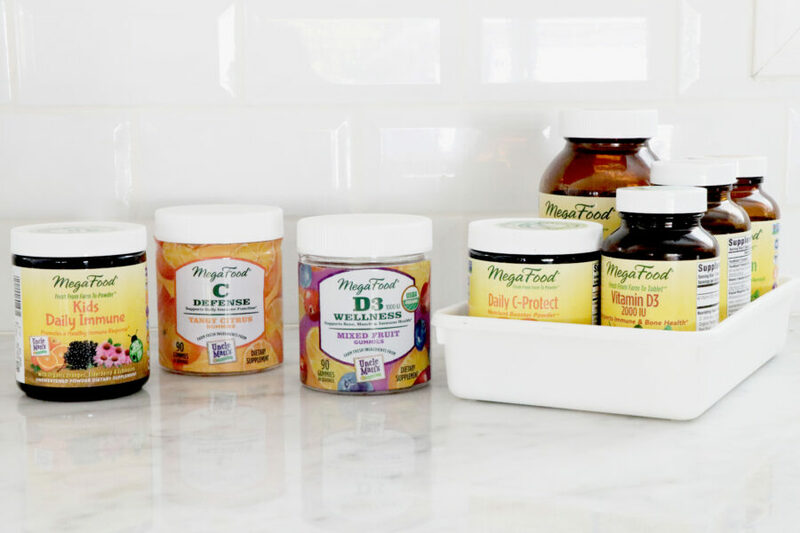 MegaFood Daily C-Protect Nutrient Booster Powder™:Vitamin C provides the body with nourishment to support its natural immune defenses. * I also love the MegaFood C Defense and D3 Wellness Gummies! Also for those with little ones this is a great product! MegaFood Kids Daily Immune Nutrient Booster Powder™ promotes a healthy immune response (with organic astragalus, echinacea and eElderberry). * The powder is easy to blend, shake (and sip!) and made without added fillers, sweeteners, flavorings or preservatives.